A frosty morning this morning: -1C or so as Iz and I headed out on our walk. The grass in the field was slightly crunchy and we walked in "the winking glitter of a frosty dawn". 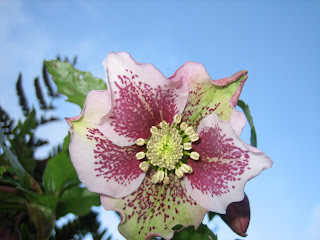 At home in my garden, the hellebores are starting to bloom. I have some of the standard Helleborus foetidus which is great if you want lots of hellebores (it seeds everywhere) and good foliage. Its flowers are less than thrilling though. But have a look at this beauty, which is in my back garden. Here it is as it should be seen--head bent, blue sky behind. And here it is as we humble gardeners normally see it, as we hunker down, place a hand behind its head, and gently turn it skyward so we can see its hidden treasures. And here's one from the front garden, the frost still on its petals - I enjoy having this one in the front as the low winter sun lights up its burgundy petals from behind when we glance out at it from our front room. 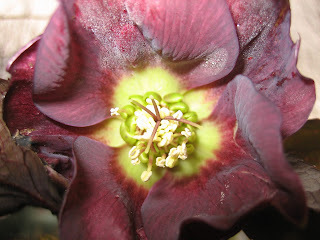 I know... you don't read about back-lit hellebores very often, but it's worth thinking about when planting some of the darker varieties. 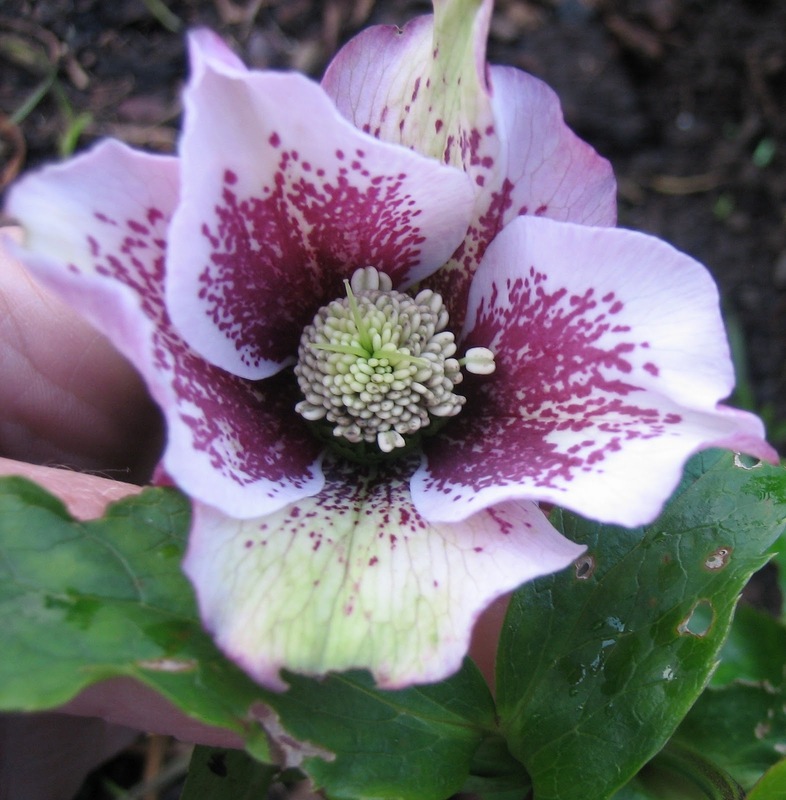 I'll end with an idea I robbed from the illustrious Dan Pearson: to appreciate the hellebore blooms without damp knees or a sore back, I put some of them in a shallow bowl: works nicely I think!